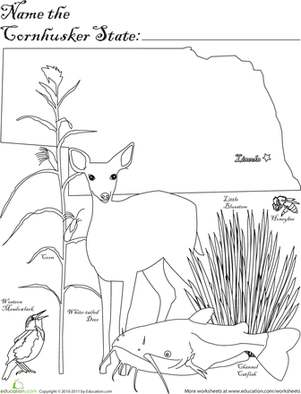 The name of my state comes from the Native American "Ute" tribe, and I was the 45th state to enter the United States. My capital is Salt Lake City. 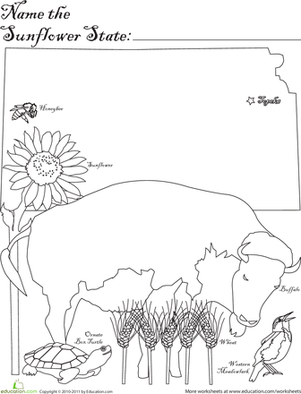 Can you guess which state I am? 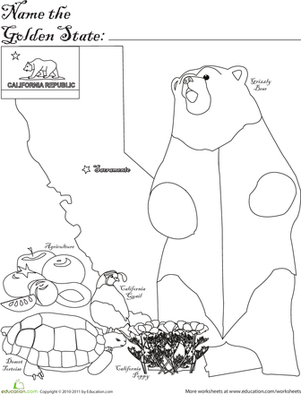 Teach your child about his country with this geography coloring page. 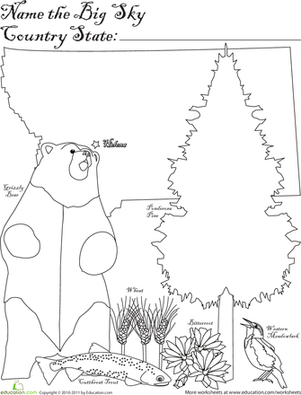 As he colors in the Beehive state, he'll boost his geography knoweldge with Utah facts and trivia. 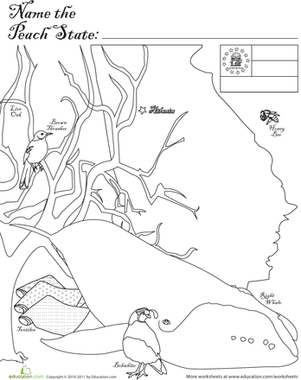 For example, did you know that Utah's state bird is the California seagull? 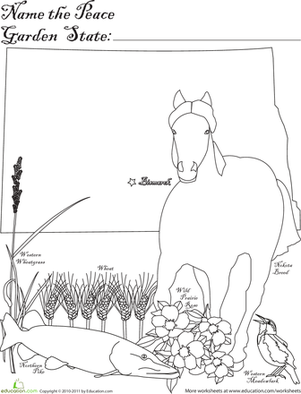 Find more mystery state coloring pages here. 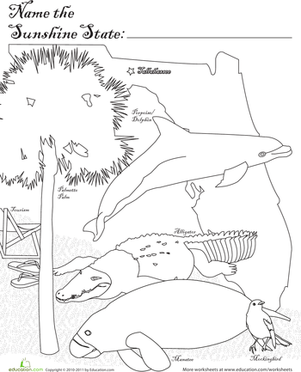 As your child gives the Sunshine State and its state symbols some color, can he guess the mystery state? 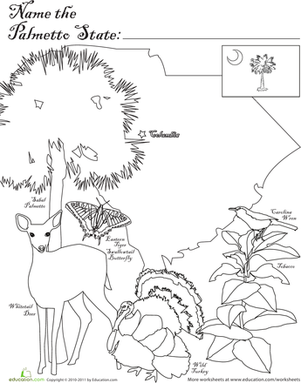 This mystery state is known as the Palmetto State and proudly features a palmetto tree on its state flag. 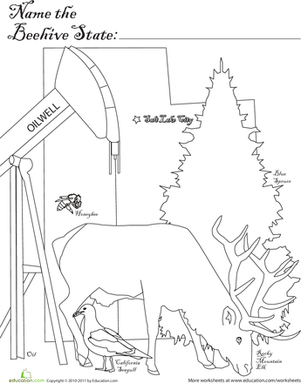 Can you guess the state? 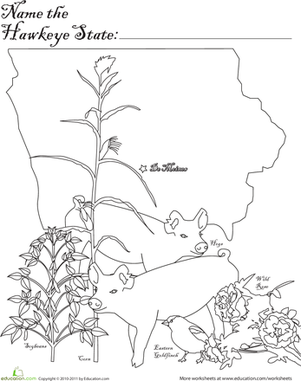 Second graders get an introduction to the state of Iowa with this mystery state coloring page. 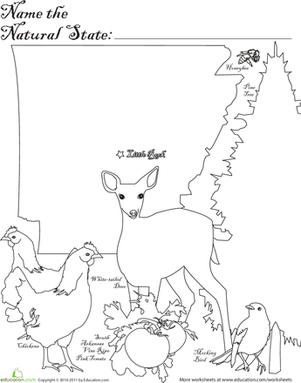 Here's a fun coloring page with a challenge that just might leave your young geography buff stumped: can he guess the name of this mystery state? 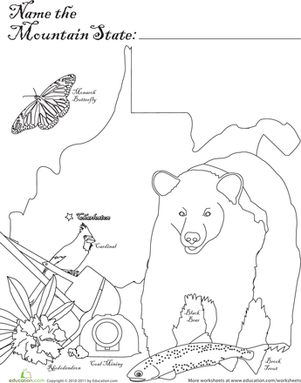 Sneak some geography learning into coloring time with this mystery state coloring page. 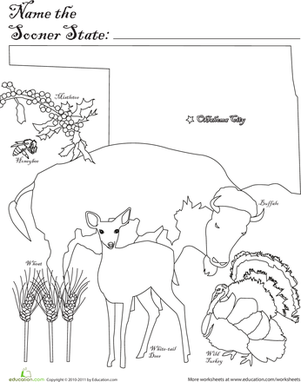 Sneak geography learning into coloring time with this mystery state coloring page featuring some of Oklahoma's native plants and animals.